Come join us for a picnic from 4:30 to 6 pm, and catch up with other Old Timers! 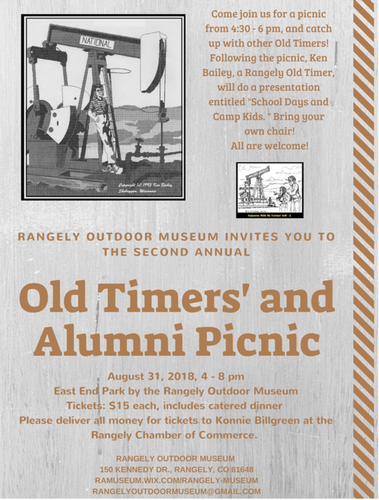 Following the picnic, Ken Bailey, a Rangely Old Timer, will make a presentation entitled "School Days and Camp Kids." Bring your own chair.